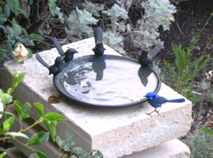 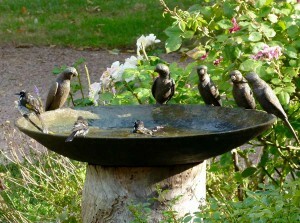 Birds are a beautiful and welcome site to any garden and the birds appreciate Birdbaths where they can drink and bathe and generally keep returning to the same watering-holes. 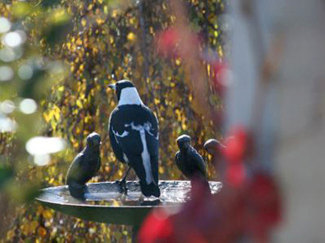 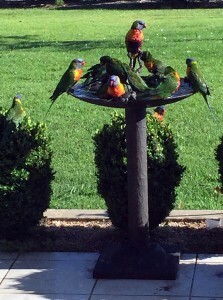 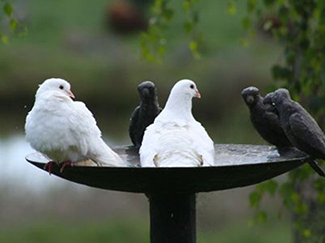 If you are fortunate to have some real birds pay a visit to your birdbath and lucky enough to capture a photo please email us the images – or any other birdbath visitors including pets! 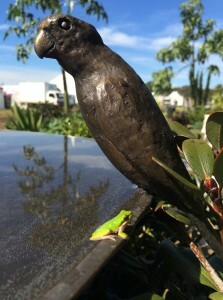 We also really enjoy receiving photos of where you have placed your sculpture in your garden and hearing how much enjoyment you receive from your sculpture every day. 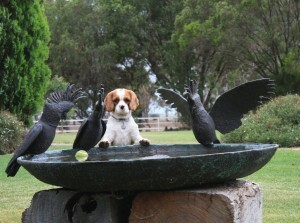 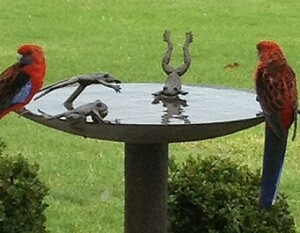 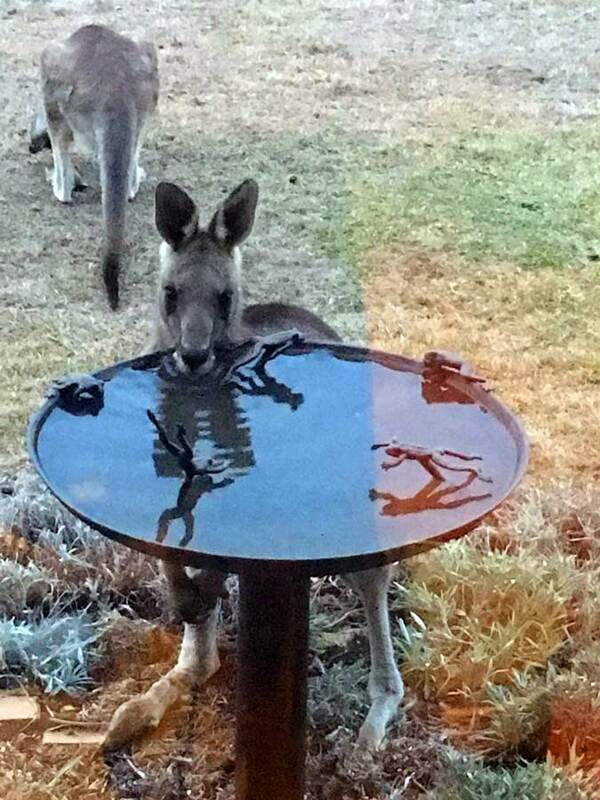 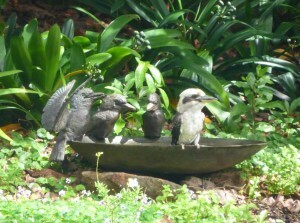 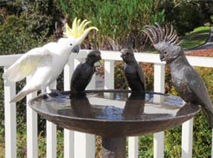 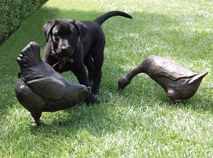 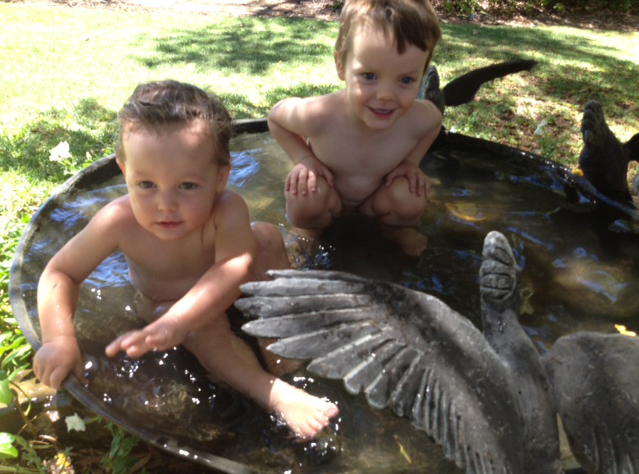 "Birdbaths have traditionally been ornate, but this bronze cast creation from Australian based Willie Wildlife Sculptures raises the game"